Renault Pro+ will unveil the all-electric New Kangoo Z.E. on January 13 at the 2017 European Motor Show in Brussels. It will equip the latest Kangoo Z.E. with a new motor and battery package that will increase the model’s driving range by more than 50 per cent, from 170km to 270km NEDC. That is equivalent to 200km in real-world driving conditions. That will give the new Kangoo Z.E. the longest available driving range in the small van market. Renault says that the Kangoo is a completely practical solution for environmentally conscious business customers who have praised the driving enjoyment it delivers, as well as its carrying capacity and competitive operating costs. This announcement to increase the range on Kangoo Z.E. follows on from Renault recently launching at the 2016 Paris Motor Show the new Renault ZOE, available with a new Z.E.40 battery that increases its NEDC driving range to 402km – the longest of any mainstream electric car. Renault is Europe’s leading manufacturer of both all-electric LCVs and passenger cars. 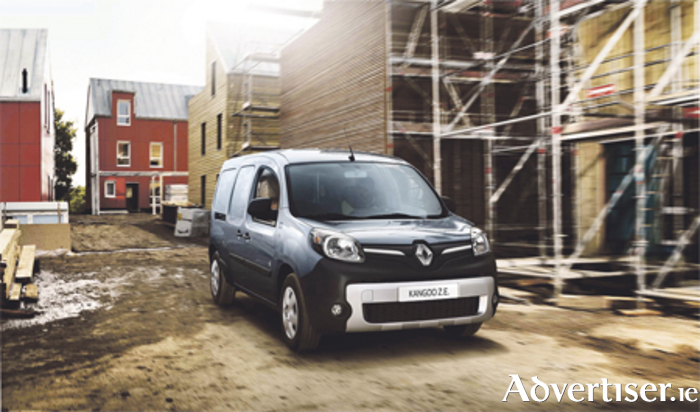 More on the new Kangoo Z.E. in mid-January.